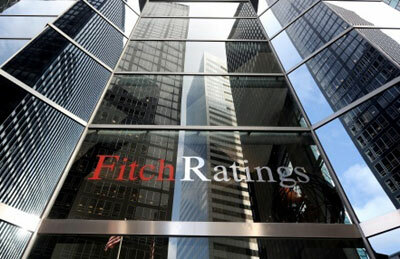 Fitch Ratings said it has launched the new fundamentals index to track changes in the strength of the US economy by monitoring the shifting credit fundamentals for key economic attributes. The Fitch Fundamentals Index (FFI) is based on the ratings agency’s proprietary data and complements credit ratings, but is not tied to any rating including the US sovereign rating. ‘The FFI shows the fundamental drivers of the US economy treading water right now,’ remarked Jeremy Carter, the managing director. The US FFI fell into the neutral zone (zero) in third-quarter from slightly positive (+2) in 2Q’13 as the strengthening in consumer credit tailed off and the banking system score turned negative. The 10 credit fundamental indicators that make up the index are now equally balanced with three positive trends, three negative trends and four neutral, on a quarter-over-quarter basis. The FFI tracks the changes in credit fundamentals across key sectors of the US economy over the prior quarter and preceding 12 months. The current index does not incorporate the impact of the uncertainty regarding raising the debt ceiling. The trend in potential drivers or constraints on economic growth or decline is indicated by the relative strength or weakness of the FFI, ranging from +10 to -10. The FFI’s components include mortgage and credit card performance, corporate defaults, high-yield recoveries, ratings outlooks, EBITDA and CapEx forecasts, banks, the CDS outlook, and transportation trend. Released quarterly, the FFI relies primarily on proprietary Fitch-sourced data. The FFI shows significant correlation to the broader economy. The index fell sharply in 2005 before troughing towards the end of 2008, two quarters before GDP reached its nadir, then rose sharply before peaking in early 2010. The FFI has since leveled off, consistent with an economy recovering relatively slowly from the downturn than in past cycles. The FFI generally has a coincident relationship with the broader economy, although there is evidence that the index may have led the economy to some degree, at least in the recent past. "We are continually looking for ways to leverage the vast amounts of data generated in our daily ratings and research activities to help market participants," said John Olert, the chief credit officer.